Have you heard of this popular beauty product from Hokkaido before? Sometimes beauty fads can emerge from the weirdest ingredients in nature. But so long as it keeps that glowing complexion on, any beauty product is fair game. The newest beauty fad in the far east just goes to show how true this is. Horse oil benefits are making waves in Japan and Korea. How Did Horse Oil Become A Beauty Trend? Before the beauty hype we know today, horse oil and its products were known as potent remedies for various ailments. It used to be called “folk medicine” in ancient china. They’ve been using it to treat skin conditions like burns, cuts, insect bites, asthma, foot fungus, hair loss and eczema. However, the horse oil we know today rose to its stature in the beauty world when Japan got hold of it more than 1,000 years ago. The fad begun when people in Hokkaido in particular, found it useful against the dry, freezing weather that the island houses, as horse oil had anti-irritant and moisturising qualities. Horse oil also had attributes which were quite similar to oils from human skin, aiding its effortless absorption. Furthermore, horse oil was safe for everyone, including newborns, and Hokkaido had large amounts of unused land too, making it an ideal place to farm horses. Nowadays, Hokkaido is famous for its horse oil. It has become a bestseller in Japan, Hong Kong, Taiwan, and mainland China, where the wonder cream is said to improve skin elasticity, wrinkles and acne. Horse oil also also retains skin moisture and balances skin tone. Nowadays, even horse oil masks are a thing. Ladies, do be careful of fakes, though. Real Hokkaido horse oil does not have any additives and is odourless. Horse oil isn’t a gimmick: it’s made by obtaining oils from horse fat. Sounds disgusting, but the beauty industry has used animal byproducts for ages. Think of gelatin and lanolin which are commonly used in everyday products. Reality is also far from farming horses merely for their fat. The amount of horse fat you can get from each animal is comparatively small. This fact makes it too pricey to farm horses only for their fats. Instead, the fats are actually waste byproducts from horse meat. Horse meat may be very rare in many parts of the world, but is eaten in several countries in Europe and Asia. For instance, in Japan, Hokkaido, horses are farmed for the purposes of serving horse sashimi, called basashi. locking in moisture and keeping the baddies out. Personally, I have used it before and it’s very oily and slippery. Using too much makes it difficult to even grasp things! So, I recommend applying it onto your hands sparingly. Different products also have different instructions. For example, some products are intended to be used after shampooing your hair as an addition to scalp care. Kitaguni Bussan, a horse oil manufacturer also recommends applying it on wounds to treat several kinds of ailments. Do consult a doctor before using this product for the best professional guidance, though. Overall, horse oil – in its pure or cream form – can provide many beauty benefits by being applied to your skin or face on its own. Ladies, there are a few things you might want to consider before buying horse oil. How often do you work with your hands? As stated before, horse oil is VERY slippery. Perhaps a good idea would be to use it during bedtime or when your hands aren’t busy. Skin type. Although horse oil suits all skin types, it can still irritate dry or eczemic skin. It may be too rich or creamy for people with oily skin. You should check with your dermatologist first before applying horse oil if you are concerned about possible issues. Where to purchase horse oil in Singapore? Since it’s made in Japan, authentic horse oil may be difficult to find in Singapore. Pharmacies like Watsons do sell creams made from horse oil; however this might not be authentic. 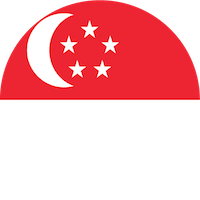 If you really want to try the real deal, consider e-commerce sites such as Shopee, Qoo10, directly ordering from the producer’s website, or grabbing one before your next trip at Changi airport. The good fatty acids from this horse oil mask is sure to moisturise and smoothen your skin, helping your face to be smooth and taut complexion. Furthermore, the mask also strengthens the skin barrier, helping you to maintain the glowing complexion. This shampoo, like all horse ail products, is easily absorbed by your scalp and maintains smooth, soft & silky hair. Horse oil also gently removes dandruff, promotes hair growth, stops hair from shedding allows it to retain its natural shine. Your skin will thank you when this vitamin-E rich cream rehydrates your skin while sealing moisture. Its high antioxidant content is also compatible with any type of skin, reinforces the skin’s protective qualities. You’ll notice a vibrant, supple complexion after using this cream, which also helps to restore damaged, scarred or stretched skin. This lemongrass-scented face peel is sure to help you relax while getting rid of those pesky blackheads, dirt and damaged skin! Mixed in with charcoal and plant extracts, this cream will clean out dirty pores and help you maintain a taut, supple complexion. As described earlier, this authentic product helps to treat a variety of conditions, including sunburn, face wrinkles, and excessive hair shedding. It’s easily absorbed by the skin, fully rehydrates it. You can also be assured that this is an authentic, quality product, being non-sticky, free of odor, additives and fragrance. *Note that these prices have not included shipping costs from the retailers.